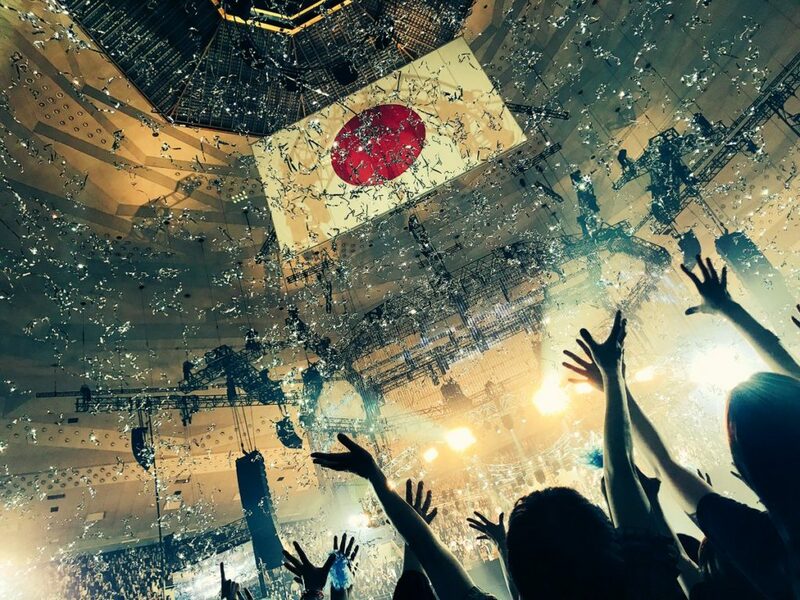 It’s been already 25 years since LUNA SEA’s major debut, and we were lucky to be part of the huge crowd that celebrated “The Anniversary 2017” live at one of Japan’s most famous stages Nippon Budokan on May 29! 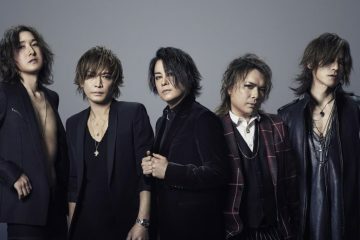 Considering LUNA SEA is one of the most influential bands in the visual kei movement, you could see all kinds of people attending this celebration: the old, young, men and women. 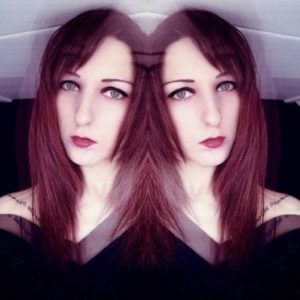 It was obvious the band has both loyal fans that have been following them from the beginning, as well as a younger generation that listens to newer bands inspired by LUNA SEA. 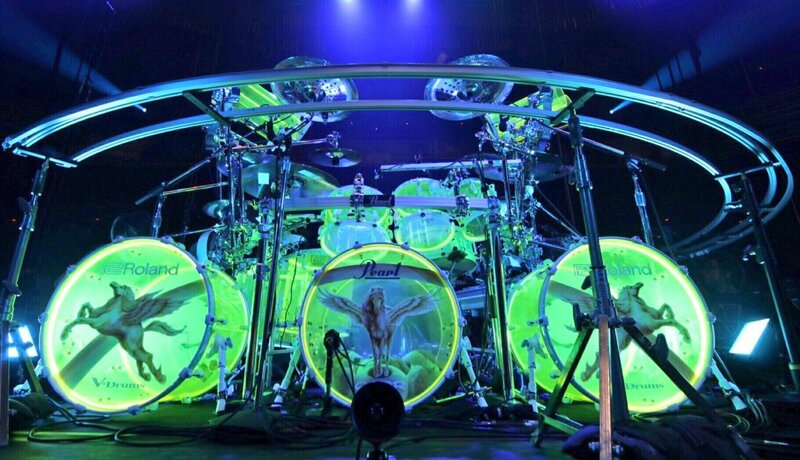 As the huge arena slowly starting to fill up with fans, clapping to the beat of the music for the show to begin, Shinya’s drum set immediately caught my eyes with its flashy neon green lights and Pegasus prints on the face of the three bass drums (yes, three bass drums! ), making it look very divine in a retro way. The lights turned off and Beethoven’s Moonlight Sonata started playing. Vocalist Ryuichi, drummer Shinya, bassist J, and guitarists Inoran and Sugizo came on stage while everyone started yelling excitedly. When the members were ready, they began with the first half of Metamorphosis from their latest album and then continued with PRECIOUS…, which is a song from their first self-titled album released in 1991. Next up was Dejavu from their second album Image (1992) and JESUS from their third album Eden (1993). 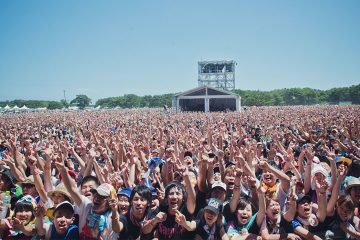 The crowd clearly enjoyed these iconic and catchy songs with pounding guitars and drums, as the tunes really took you back to the old sound of visual kei bands. The song Image then entered and in an instant gave me goosebumps with Ryuichi voice taking over the arena. The combination of his beautiful long notes, Sugizo’s violin part, and the repeated lyrics “image or real” echoing through the entire arena drew me and many others in completely. Still feeling a bit in trance from the previous song, the crowd were still ready for more as LUNA SEA continued with the catchy The End of the Dream, the powerful HURT, and the ballads NO PAIN and I’ll Stay With You. Inoran and Sugizo switched to acoustic guitars for the latter one, with Ryuichi joining them on guitar as well. After the last notes, all the members except for Shinya left the stage. It was finally his time to shine! Shinya started off playing slowly while the crowd yelled his name, gradually beat the drums faster and faster until finishing the entertaining drum solo with two smoke explosions! Right after, bassist J joined him on stage again for his bass solo—the crowd now yelling his name. The other members then returned on stage to play the song BLUE TRANSPARENCY where we could hear Ryuichi actually scream! The show continued with songs I for You, STORM and TIME IS DEAD. 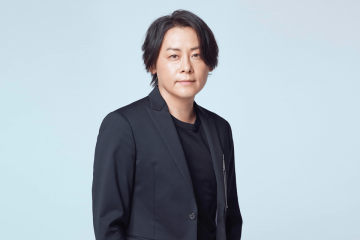 Ryuichi announced that it was time for the last song: ROSIER, one of LUNA SEA’s biggest hits, which then followed by the ending part of Metamophosis, giving the main show a perfect ending. After the members left the stage and the lights dimmed, the crowd started singing “happy birthday” repeatedly while slowly waving their lit-up phones in the air. The band returned for an encore to play Anthem of Light and TONIGHT. Ryuichi then started naming the band members one by one, giving each of them their own moment to say something while the fans yelled their names. 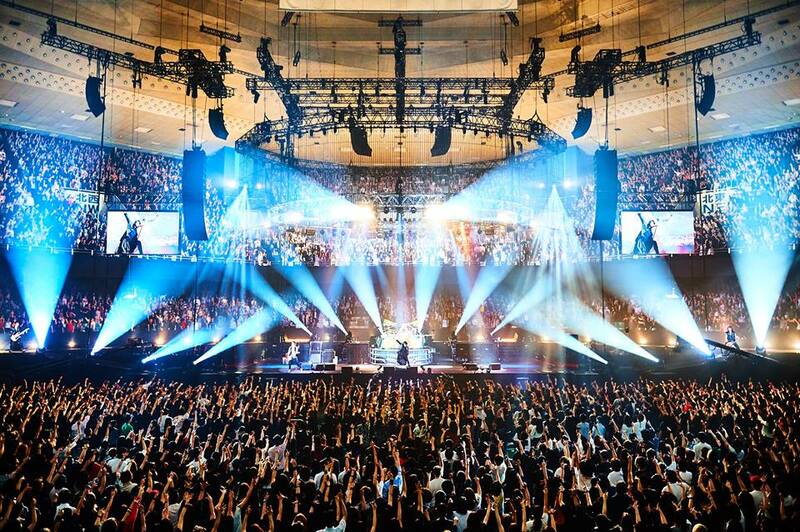 Not only just thanking the fans for coming, the band actually announced they will be holding two lives for Christmas, “The Holy Night 2017” at Saitama Super Arena on December 23 and 24! LUNA SEA then continued by playing WISH. At this moment thousands of silver pieces of confetti started raining down with the fans reaching out to catch as many as possible. When Ryuichi announced their very last song MOTHER, it was clear that both the members and the fans wanted to give their all for one last time! This song included another violin solo beautifully played by Sugizo. Ryuichi thanked the fans once again and all members slowly left the stage, only to come back again for a final moment with the fans and did a big jump together with the fans while holding hands. Shinya threw several drumsticks as far as he could while Sugizo did the same with water bottles. Sugizo also took some photos and bowed one last time before leaving the stage last. I’m honestly really happy to have been able to experience this respected band’s live performance. You could clearly see and hear how experienced they are, and after all these years they are still full of energy and motivated to give their fans a great show. 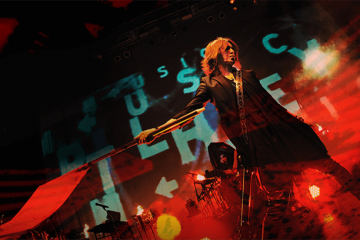 I’m pretty sure that even if you’re not a LUNA SEA fan, as a visual kei fan you will not regret having the chance to be part of this live performance by this legendary band! 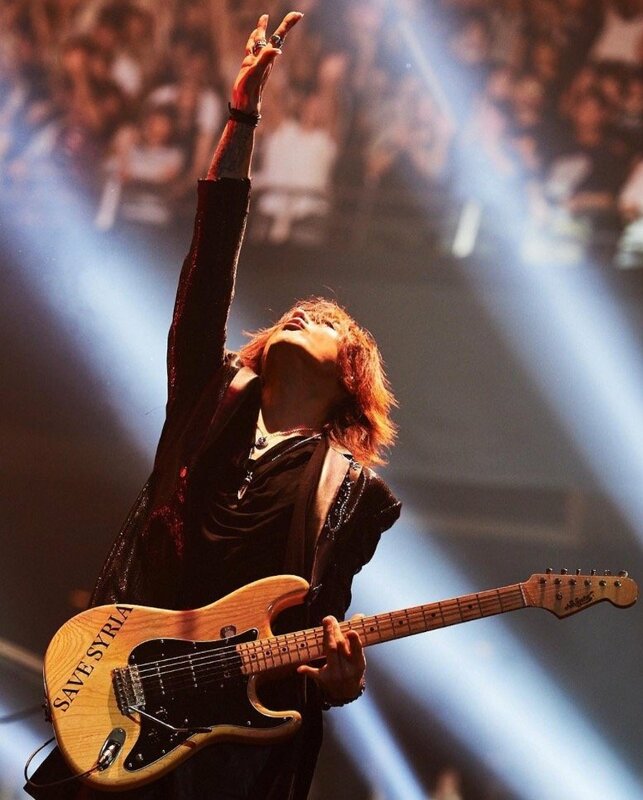 Sugizo has clearly always been the most charming member of the band, being the one actively interacting with the fans and making sure he has some remarkable poses prepared throughout the show.